It’s Ian’s birthday present. Endless thrill rides with dad (I haven’t ridden a bike since I was twelve. I do believe I’ve forgotten how.). 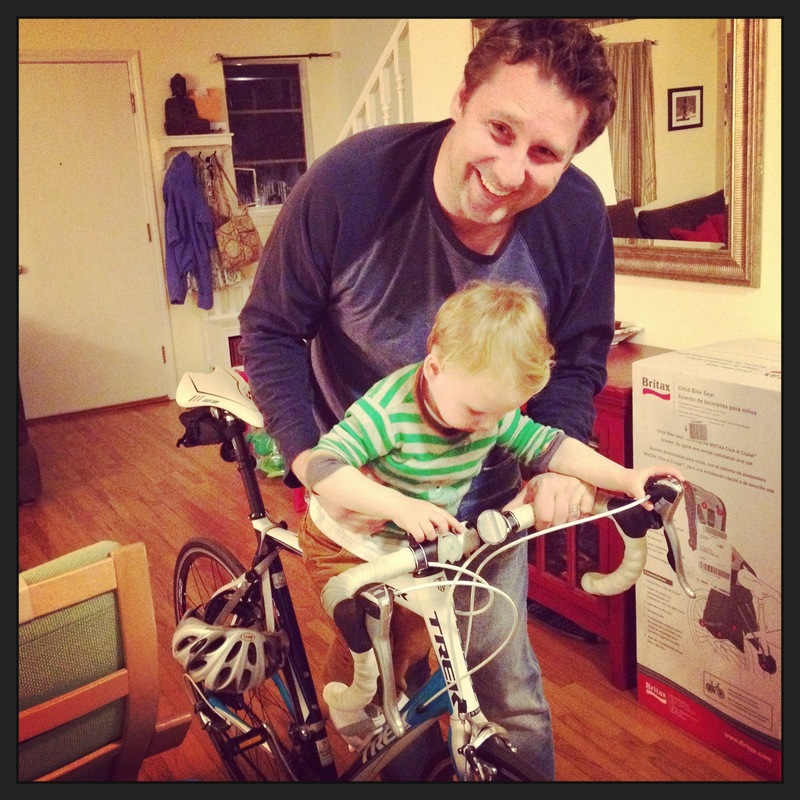 Dad installed the seat after Ian went to bed, but brought the bike in during dinner. Ian thought he was going to actually ride the bike. No problem. In other news, I do believe we are starting to make progress on the potty. He sat and tried twice today and we got some good Curious George reading in (the potty remained dry). After the second attempt, he went into our bedroom, peed into the fan, then announced his feat proudly. I’m just glad the fan wasn’t on. That could have been a whole other Oprah.